On January 26, 1905, mine superintendent Frederick Wells made an unusual find in Gauteng, South Africa. Only 9 meters from the surface was a large, blue-white diamond, which he extracted using a pocket knife and took to the mine office to be weighed and inspected. The stone tipped the scales at 3,106 carats (621.35 grams), making it the largest diamond ever found. It was named the Cullinan after Sir Thomas Cullinan, the owner of the diamond mine in which it was found. 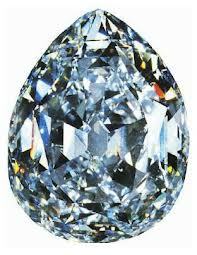 The diamond was then dispatched to England where it would be entrusted to Premier's London agent, Sigismund Neumann. 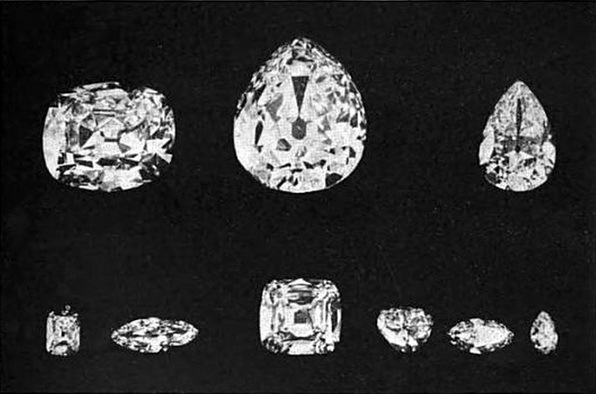 To ensure the diamond reached its destination safely it was sent to England in an unmarked postal box, while a replica was publicly accompanied by detectives on a steamer from South Africa as a diversion. The diamond was later bought by the Transvaal government, which had been reconciled with England after the Anglo-Boer war, for £150,000 and presented to King Edward VII as a goodwill gesture on his 66th birthday on November 9, 1907. Amsterdam-based company I. J. Asscher and Co cut the diamond. The two resulting stones, weighing 1,977ct and 1,040ct, were cleaved into nine major stones, 96 brilliants and 9.5 carats of unpolished pieces. The two main stones, Cullinan I (The Great Star of Africa) and Cullinan II (The Lesser Star of Africa) were given to King Edward VII. Both currently reside in the Tower of London as part of the Crown Jewels. 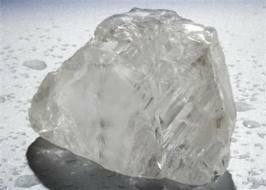 Throughout the years, rumors have spread about a second half of the Cullinan diamond, as certain signs point to the diamond being part of a larger crystal. Legend has it that before Frederick Wells sold the diamond to Sir Thomas Cullinan, he broke off a piece which weighed 300-400g. 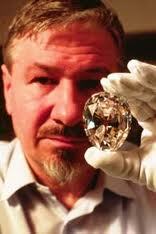 If this were true, the Cullinan diamond would have weighed in about 1kg. It is said that when the famous diamond-cutter, Asscher received the stone to cut it, he studied it for months. In 1908, at his first attempt to cutting it, the blade broke but the diamond remained unbroken. After the second successful attempt, it is said that he fainted. The Cullinan diamond is the largest uncut diamond ever discovered. However, when it comes to polished diamonds, the Great Star of Africa (530.4 carats) lost its title as the biggest polished diamond to the Golden Jubilee Diamond (545.67 carats) in 1985. © Cullinan Diamond - History and Facts - Powered by Cullinan-Diamond.com - All rights reserved!